This "First Class Mail" double window portrait style enelope is great for important documents or tax returns. 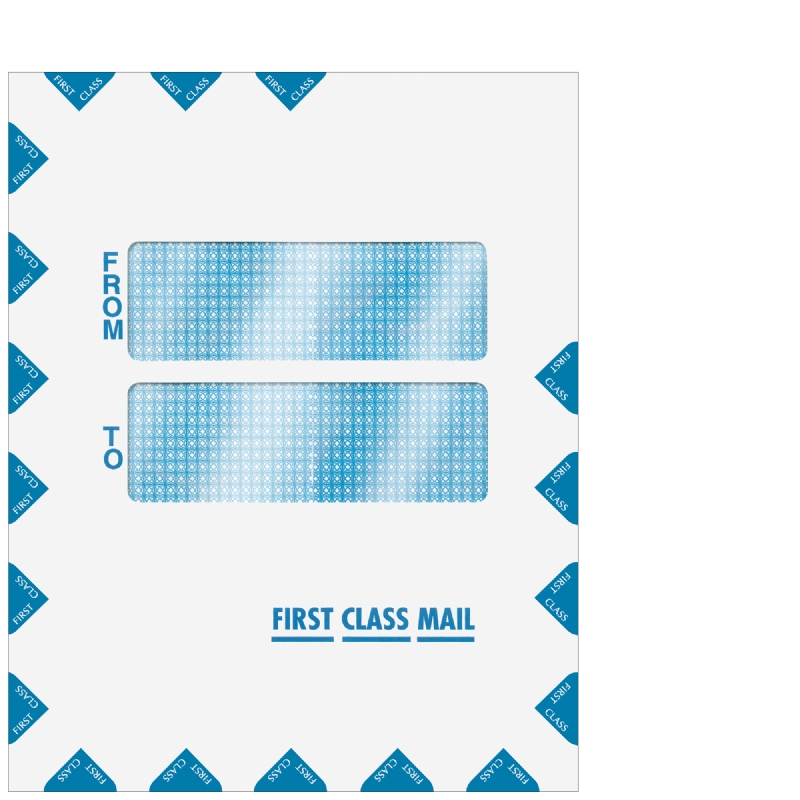 This envelope has a short flap opening with a moisture gummed flap and blue security tint. These envelopes are compatible with UltraTax (Creative Solutions), TaxSlayer and ATX Tax Prep software portrait cover sheet or any customized slip sheet to the below window specs.